Doug's research interests are focused in a few different areas. 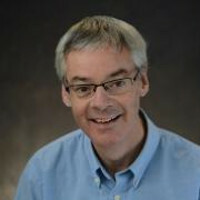 Most recently, his long-standing interest in polysaccharide structure and functionality, particularly their effect on ice recrystallization, combined with his interests in nutrition (he has taught Nutritional Sciences for 15 years), has led him to look more closely at polysaccharides as dietary fibre. We are interested in pre-product development related to soluble fibre fortification in dairy products, and in the effect of the added fibre on health: glycemic response, colonic fermentation and satiety (through collaborations with colleagues in Human Health and Nutritional Sciences). Correlating physiological functionality to molecular structure (as with physical functionality) would also be a mechanistic goal to understand. Other research interests in Goff's lab include the physical chemistry, formation, and structure of complex food systems, particularly dairy products and frozen foods. This interest includes control of ice recrystallization through polysaccharides and ice structuring proteins, polysaccharide functionality in dairy systems (a lot of interest in carrageenan and its interaction in milk), polysaccharides as food ingredients to deliver health benefits (as soluble fibre), and a long-time interest in stability and structure food emulsions and foamed emulsions. There are many examples of food products for each research area, but ice cream is a product that has received the most research attention by our group. Indeed, Goff's laboratory has achieved an international reputation for such.